The primary science driver for eROSITA is to study dark energy with about 100,000 galaxy clusters. eROSITA will survey the full sky eight times at X-ray wavelengths. 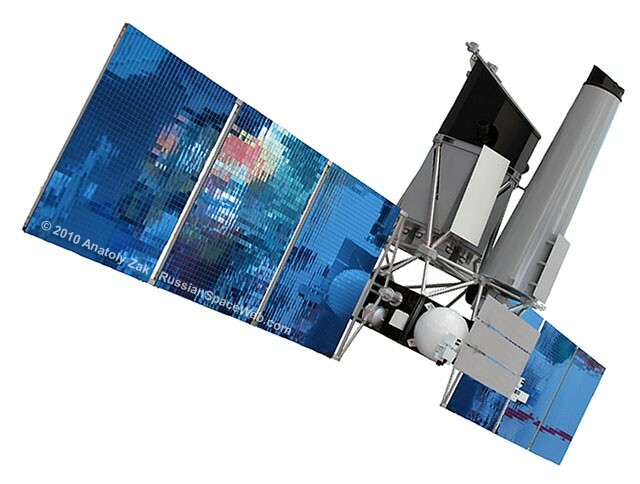 It will be launched as the main instrument onboard the Spektr-RG satellite mission in 2019. Technical and scientific descriptions as well as forecasts on eROSITA's cosmological constraining power can be found, e.g., in Predehl et al. (2010), Merloni et al. (2012), Pillepich et al. (2012), Hofmann et al. (2017), Clerc et al. (2018), Pillepich et al. (2018), and Zandanel et al. (2018). The architecture of Spektr-RG orbital observatory as of 2010.